TU/e-affiliated corresponding authors are granted a 10% discount to open access publishing charges in MDPI journals. The agreement started mid-february 2018. 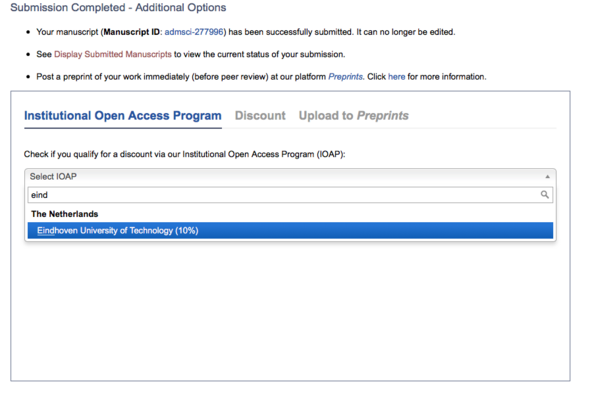 Submitting authors are prompted to indicate their affiliation in the last step of submission to determine if they are eligible for discounts under the open access program. The open access program is pre-selected if authors are submitting from within the TU/e network (IP-range).